Root canals play an important role in helping men and women avoid the problems associated with the loss of adult teeth. Dr. Steinbach uses today's most effective, safest techniques for painless root canal therapy so his Brooklyn, NY, patients can preserve their natural teeth whenever possible. A root canal is a procedure that's used to remove the pulp in the center of the tooth when it becomes infected. The pulp contains nerves and other tissue that can become decayed beyond the point where a traditional filling can be used. 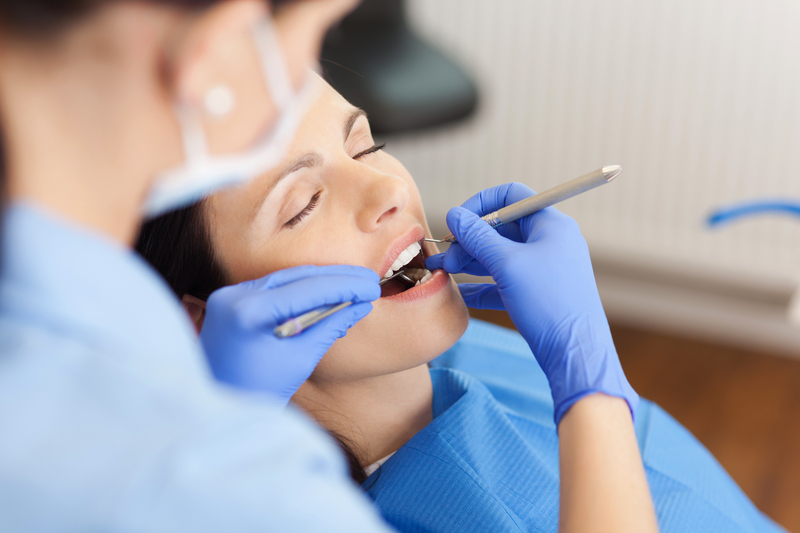 Root canals remove the damaged pulp while preserving the tooth and avoiding further damage. A root canal is performed in a way similar to a regular tooth filling, but the material that is removed is deeper, extending into the pulp and root area. A drill is used to access the decayed area, and decay is removed using special instruments. Once the decay is gone, the space will be filled with medication to prevent infection followed by a hard filling material. A sealant may also be applied. Today's root canals use advanced techniques designed specifically to avoid pain. Many patients find they feel absolutely no discomfort during the procedure and only minor discomfort afterward which can be controlled by over-the-counter pain medications. Most people who have root canals find they can benefit from a crown, either because the tooth becomes discolored or because the remaining tooth may have become weakened by extensive decay. Dr. Steinbach will talk to you about crowns and whether or not having a crown is a good idea based on your specific case. Is a root canal better than extraction? Generally speaking, it's always better to try to preserve a natural tooth when possible. First, it's usually less costly than having dentures, bridges or dental implants; second, your bite pattern is not disturbed; and third, by keeping the tooth in place, you avoid the loss of jaw bone tissue that occurs when a tooth is lost.